For the past four summers, the Tunica-Biloxi tribe has sponsored a Tunica Language Summer Camp held on the reservation. Programs such as this are invaluable to any language revitalization project, as they aim to actively involve the youngest generation of prospective speakers with hopes that they carry their newfound knowledge of the language into adulthood, thus becoming the next generation of language users and teachers. As Tunica children learn their ancestral language, become familiar with native sports, such as stickball, and enjoy dances, which they might then go on to perform in Pow-wow competitions, they develop pride in their heritage and in themselves. The first summer language camp was held in 2011, with tribal members Donna Pierite and her daughter, Elizabeth Pierite-Mora, teaching all the campers. Children learned Tunica greetings, numbers, colors, and basic verbs. Other camp activities included games, crafting, learning indigenous songs, and dancing. Language lessons incorporated recordings of New Orleans school children doing basic language modules. Take-home materials for the parents were distributed, in order to better involve all generations in the process of language revitalization. 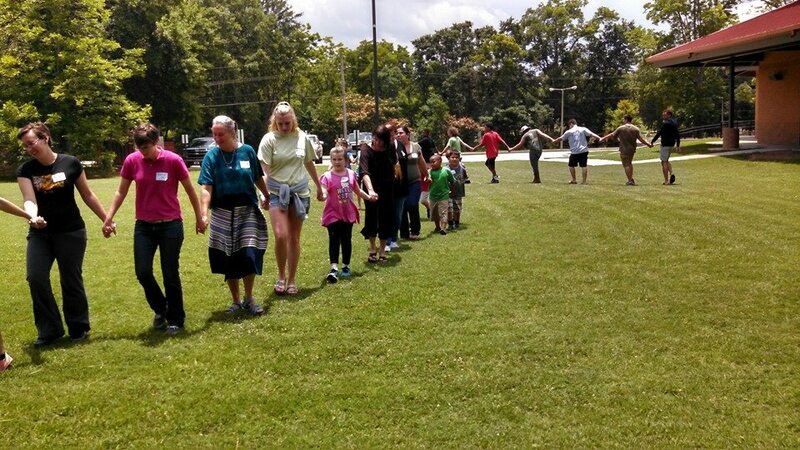 In the summer of 2012, Brenda Lintinger and her sister joined the teaching staff, working with the youngest campers. In 2013, Tulane students became part of the camp staff, aiding the Tunica teachers with language lessons and camp activities. Tulane language teaching assistants at the 2014 Tunica Summer Language Camp. The linguistics department at Tulane University now offers an intensive two-week summer course entitled “Language Revitalization: the case of Tunica, Louisiana’s sleeping language.” The objective of the course is to teach students about language death and revitalization, second language teaching, and the Tunica language, while giving them the service learning opportunity to assist tribal language coaches at the Tunica Language summer camp in Marksville, Louisiana. The first week of the course is held on Tulane’s campus and covers the forces that cause language death and applied methods for revitalization. Students are also taught second language teaching methods and instructed in the Tunica Language, with much of the allotted class time later in the week devoted to practicing teaching Tunica. 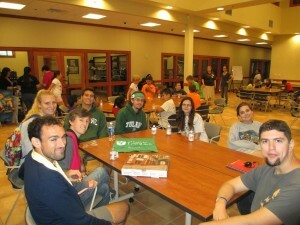 Students and Tulane faculty are then bussed over to Marksville, LA for the second week of the course held on the reservation, in order to assist the tribal staff with teaching the campers. The tribe hosts the university team, with room and board provided through the Paragon Casino Resort. With continued support from the tribe, and the new opportunity for Tulane students to become involved in the exciting hands-on revitalization of a language, this summer program is poised to continue for years to come. A comprehensive report of the 2014 Tunica Summer Language Camp, authored by Dr. Judith M. Maxwell, may be found here.